If you’ve talked with the librarians throughout the Poudre River Public Library District, then you know how highly skilled they are in connecting you with great books and the information and resources you need. But, sometimes the staff encounters library users with more complex or urgent needs: a place to live, a nutritious meal, mental health treatment. To address these very real human needs, the Library District recently launched a pilot project at Old Town Library to help connect visitors with appropriate community services for immediate, skilled assistance with housing, mental health care, substance abuse, domestic violence, and other difficult life situations. Enter Brendan Haggerty, an intern and second-year graduate student with the CSU Master’s of Social Work program who works directly with at-risk customers. Brendan Haggerty, intern & second-year graduate student with the CSU Master’s of Social Work program, works directly with library customers. Using the public library venue to impact customers in need of social services assistance is relatively new at Poudre River Public Libraries, but it’s not uncommon. Library systems in cities like Denver, Dallas, and San Francisco have added experienced social workers to their staffs in an effort to improve outcomes – particularly for homeless individuals but also generally for anyone in need of assistance. Taking time to talk to people in a kind and attentive way is sometimes all that’s needed. Brendan routinely interacts with 10-20 individuals (or families) each day when he’s at Old Town Library. And often he works with people over multiple visits such as a woman he supported in her journey out of homelessness, or the man, who by virtue of his behavior and intimidating posture was unfortunately well-known to staff. 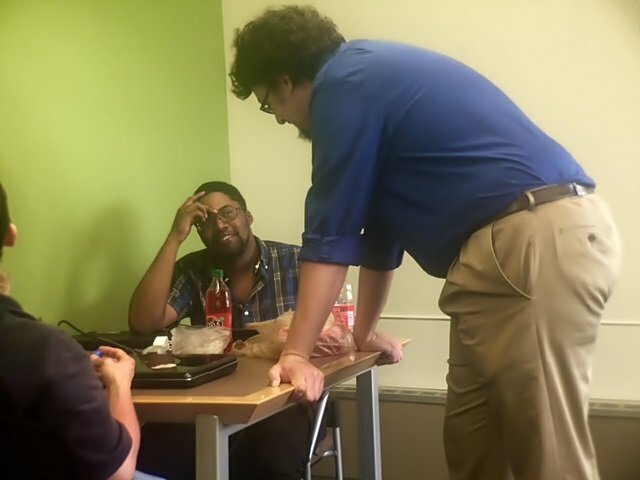 Over time working with the man, Brendan helped him build self-awareness of his behavior and how he was being perceived, and to learn techniques for positive social interactions. There haven’t been disruptions with this visitor since. But Brendan doesn’t do all of the work himself. He actively collaborates with library staff and security to identify people in need, build trust, and get them connected to resources. 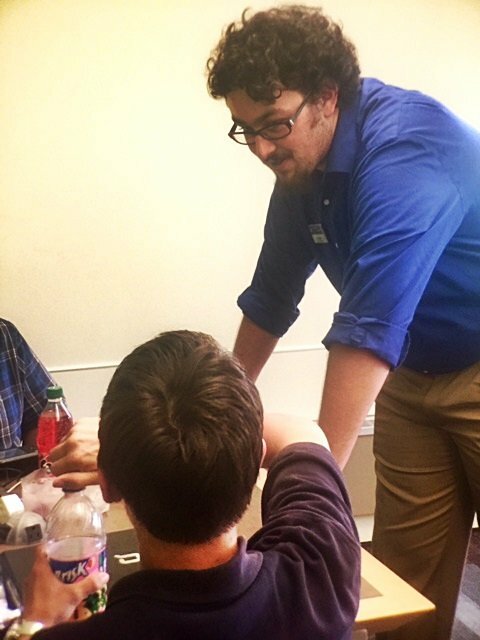 As the social worker program evolves at the Library District, Brendan expects his role will expand to include not just direct counseling, referrals, and information, but also creating policies and best-practices, advocating for and dispelling myths about the homeless, and increasing community engagement. Brendan is available at Old Town Library on Wednesdays 8:00AM-4:00PM, and on Thursdays 3:00PM-8:00PM. For private discussions, Study Room F is reserved on Wednesdays 1:00-4:00PM and Thursdays 4:00-8:00PM. Appointments aren’t necessary. He is also available to visit Council Tree Library and Harmony Library. You can reach Brendan via email: MSWIntern@poudrelibraries.org.